Double O Plastics, Inc. uses its best efforts to respect the privacy of its online visitors. At our site, we do not collect personally identifiable information from individuals unless they provide it to us voluntarily and knowingly. This means we do not require you to register or provide information to us in order to view our site. Double O Plastics only gathers personally identifiable data, such as names, addresses, zip/postal codes, e- mail addresses, etc., when voluntarily submitted by a visitor. For example, personally identifiable information may be collected in order to respond to a stated desire to help a client achieve a solution. This information is used solely by the Double O Plastics, Inc. or other entities who are involved in the operation of this site for internal purposes. 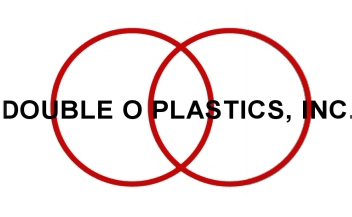 Double O Plastics, Inc. lists are never sold to third parties. We will only share personally identifiable information with third parties when (i) the person submitting the information authorizes us to share it; (ii) sharing the information is a necessary operation of the site, for instance, (iii) if we are required to by law. Yes. High grade encryption and https security protocols are used in collecting personal information to schedule your appointment to Double O Plastics or by calling 1-800-343-9688. In addition to maintaining privacy and security controls over information you share with us, Double O Plastics works consciously to process your requests during business hours. The Double O Plasticsstaff is available to answer questions about your submissions or financial transactions Monday through Friday between the hours of 9:00AM and 6:30PM EST. Double O Plastics, Inc. employs error checking procedures to make certain transactions are processed completely and accurately. As necessary, changes are made to improve our systems. And, independent external and internal audits are conducted to ensure the privacy, security and appropriate processing of your information on our site.